"It’s an amazing piece of bushfire resistant architecture"
State-of-the-art plant conservation and research facility that showcases the work of researchers to create a high level of visitor engagement. The Australian PlantBank, located at the Australian Botanic Garden in Mount Annan, is a science and research facility of the Royal Botanic Gardens and Domain Trust. 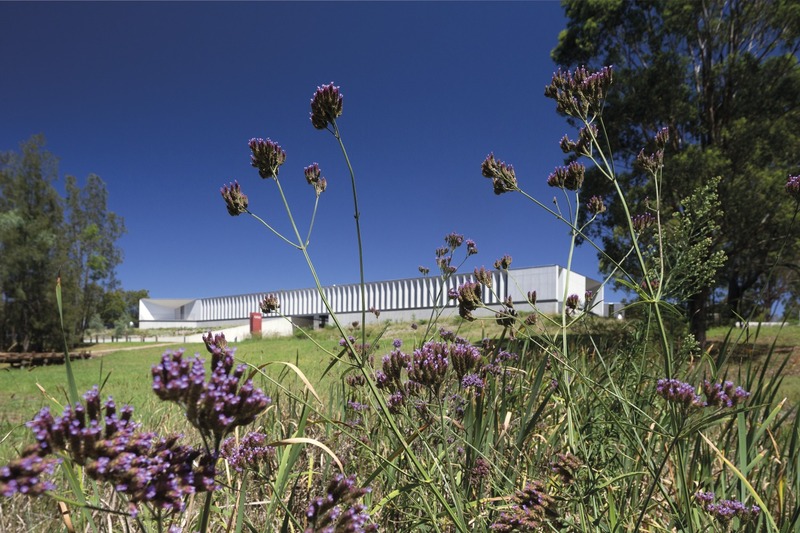 It houses the Trust’s seedbank and research laboratories that specialise in native plant conservation. The facility is positioned globally as a symbol of preservation of the natural cycle from the germination of seed to the propagation of forests. The building showcases the research carried out in the gardens, particularly the conservation of NSW plant species and regeneration of eco-systems, such as the adjoining threatened Cumberland Plain Woodland. The seedbank includes long term cold room facilities for storage of seeds, a drying room, incubators and seed processing and testing laboratory facilities. The interpretive function of PlantBank has indirectly influenced internal planning. The plan form allows views into the working sections of the building; from the entry through to the lobby, visitors can see researchers working within the laboratories. Beyond this they can view the incubators, cold storage facilities and the vault. The vault is the conceptual focus of the research, being the repository of seeds. The visitor heart of the building is the narrow lobby form at the junction of the research, workplace and information zones of the building. The facility has a strong educational interest and includes conference facilities for use of staff, visiting academics and public.